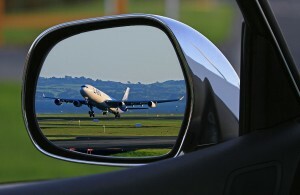 Trenton Mercer Airport | PRO Car and Limo L.L.C. Pro Car and Limo’s New Jersey airport limo service makes going to, or coming from, Trenton Mercer Airport a special occasion. PRO Car and Limo proudly serves the Trenton Mercer Airport with professional, affordable airport transportation to and from Monmouth and Ocean Counties. Our professional Chauffeurs are intimately familiar this underused gem. They also know all the traffic patterns in the area and can avoid accidents, rush hour traffic, and road construction when necessary. 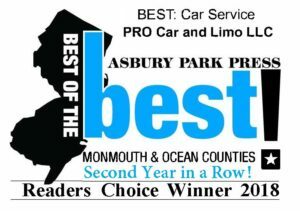 When it comes to airport car service providers in Ocean and Monmouth Counties, your choice is clear…..GO with the PROS! Opening in 1929 to much fanfare, Trenton Mercer Airport (TTN) has been providing a convenient, safe mode of transit to the Mercer County Region for over 80-Years. As one of only three commercial airports in New Jersey, Trenton-Mercer Airport averages approximately 100,000 take-offs and landings each year; its power as an economic engine is unparalleled, contributing thousands of jobs and hundreds of millions of dollars to the local economy. TTN’s rich history spans the decades from early aviation, to its preeminent role in the production of the WWII Avenger Torpedo Bomber, and today as home to commercial air carrier service connecting Mercer County to hundreds of destinations. The aviation units of numerous Fortune 500 companies, a corporate terminal and repair base, the U.S. Customs Service, the New Jersey State Police, and the New Jersey National Guard are also located at the airport. Many of the world’s aviation, political, and entertainment leaders have passed through our gates, including Amelia Earhart, General James Doolittle, President John F. Kennedy, President Gerald Ford, President Bill Clinton, Vice-President Al Gore, President George H.W. Bush, President George W. Bush, Senator Ted Kennedy, Elton John, Diana Ross, Harrison Ford, Shania Twain and many, many more. Our friendly professional staff is available 24 hours a day to answer your call and we will go to any length to take care of your needs. Last minute reservations are always welcome. We are a company founded with one mission in mind. Satisfy 100% of our customers 100% of the time. In fact we GUARANTEE on time pick-up every time. We employ only licensed, experienced, professional Chauffeurs along with the latest technology to ensure timely communication, on time pick ups, safe travel, and on time arrivals for all of our guests. Our fleet consists of clean, comfortable luxury Sedans, SUVs, Limos, and Party Buses. Sit back and relax when you GO with the PROS! No matter which vehicle you choose, it will be stocked full of snacks, soft drinks and ice. 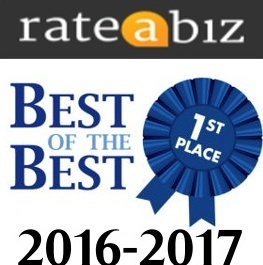 We know the fastest, most reliable routes to get you where you need to go. 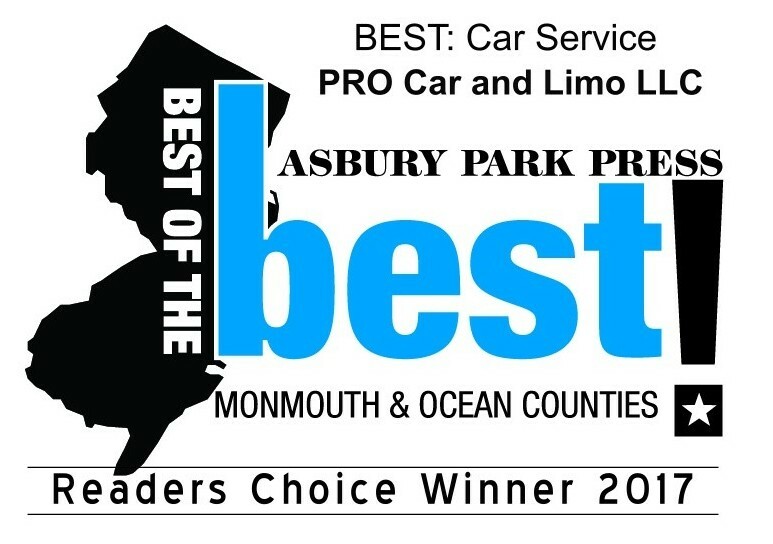 Thank you for considering PRO Car and Limo for your Ocean County and Monmouth County transportation needs.